What happens when emerging architects, artists, and designers get together and throw themselves a party? Find out at the “2013 Graduate Degree Exhibition,” one of the largest and most exciting exhibitions of art and design in the country, opening on April 21 at Cranbrook Art Museum. 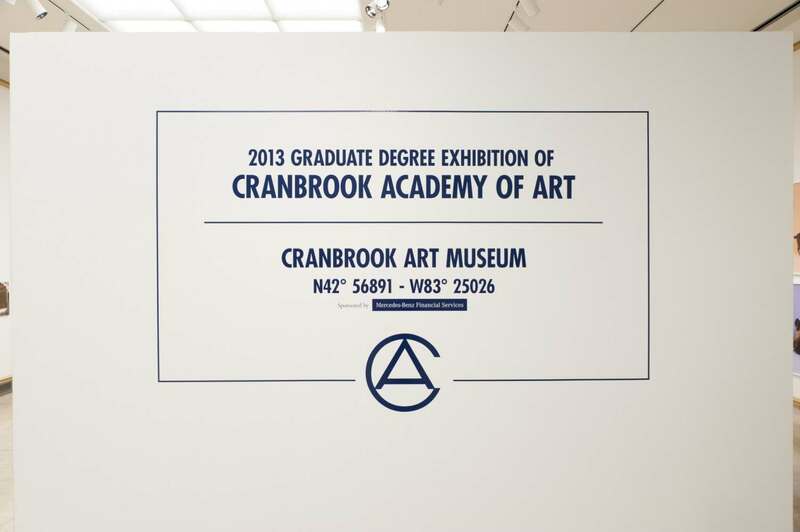 The annual Degree Show of Cranbrook Academy of Art is the culmination of two years of studio work at the nation’s top-ranked independent graduate school of architecture, art and design. This is the same show that launched the careers of Florence Knoll, Harry Bertoia, Massamichi Udagawa, Anne Wilson, Hani Rashid, Nick Cave, Tony Matelli, Ed Fella, Lorraine Wild, Martin Venezky, Beth Katleman, Sonya Clark, and many more. The exhibition takes place in almost 15,000 square feet of galleries at Cranbrook’s historic Eliel Saarinen designed Art Museum. The Museum has recently undergone a $22 million renovation and expansion that is creating one of the most significant exhibition and research facilities in the United States.